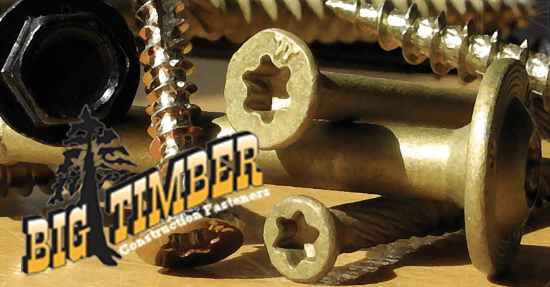 Big Timber screw products from Western Builders Supply are some of the finest deck screws in the country. The star drive head delivers the ultimate torque and won't strip out. Big Timber Fasteners provide everything you will need to complete any deck project, from the framing to the decking. All at a price that won't break the bank. For technical information, view Big Timber's AC233 Mechanical Testing of Fasteners and their ESR-3534 reports.